Surf Expo is the largest and longest-running water sports trade show on the planet and gathers the world’s leading surf, skate, swim, resort industry and beach lifestyle exhibitors. The first edition of the Surf Expo was held in 1976, and since then it became an influential business gathering. The trade show runs twice a year – January and September – in Orlando, Florida. The three-day, laid-back event attracts around 30,000 professionals, who negotiate deals in the over 2,500 colorful booths of gear and apparel. 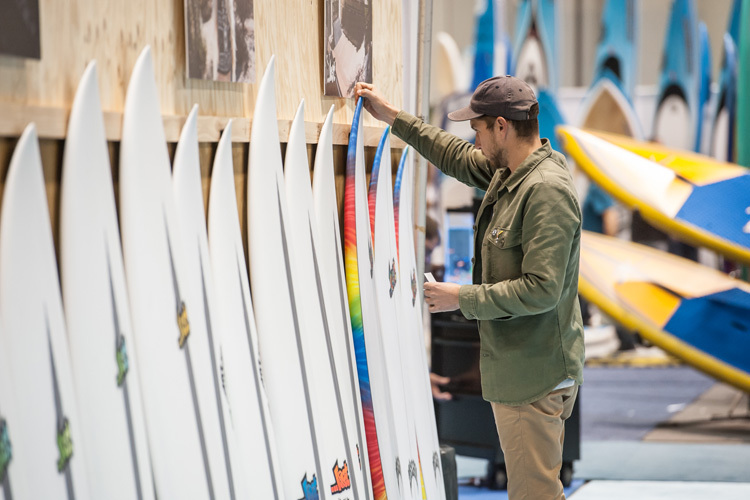 This long-running trade show always features a full schedule of side events including, surf and skate demos, fashions shows, autograph signing sessions, award ceremonies, surfboard shaping, and live product demonstrations and music. And, it is not open to the general public. Only qualified professionals, industry manufacturers, and media are allowed inside the exhibition hall. Retail store owners from across the United States, Europe, Central and South America, the Caribbean, Australasia and Africa are invited to be the first to see and test the latest boardsport products and the hottest innovations. Surf Expo is the ideal trade show for action sports brands seeking to reach a large number of retailers in a concentrated environment. From a sports perspective, Surf Expo features all the outdoor activities included in the so-called surf-and-skate industry. Therefore, it’s the ultimate meeting point for surfing, bodyboarding, windsurfing, kitesurfing, skimboarding, wakeboarding, skateboarding, and stand-up paddleboarding (SUP) businesses. 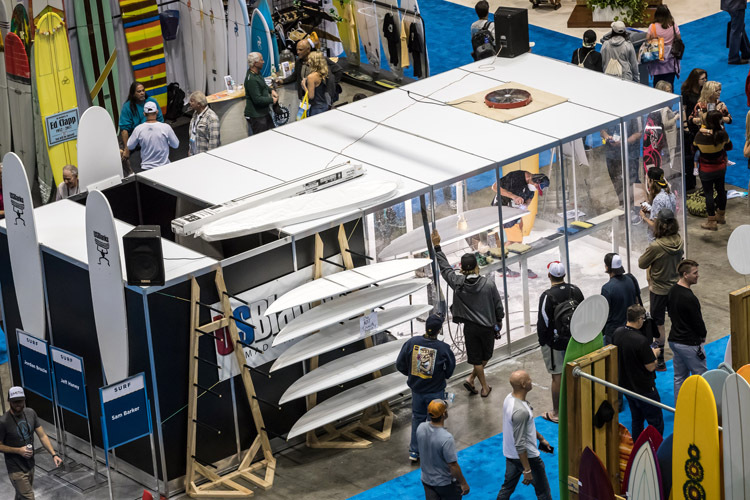 However, the trade show has already expanded its coverage to include kayaking, canoeing, swimming and the deeply connected resort industry. As a one-stop place for surf-related companies, the Surf Expo visitor will be among the first to witness the latest surfboards, fins, boardshorts, wetsuits, skateboard decks and wheels, sunglasses, jet skis, wake boats, kites, windsurfing sails, inflatable SUPs, footwear, beach jewelry, sandals, coastal gifts, futuristic fabrics, and standing wave machines. This trade show is a business hub obsessively focused on the beach lifestyle and ocean sports. It’s a unique trading center where buyers can actually look, hold, test and eventually a product to their portfolio. For many brands and companies, Surf Expo is the most efficient way of getting their exclusive products into the hands of consumers via quality retailers. 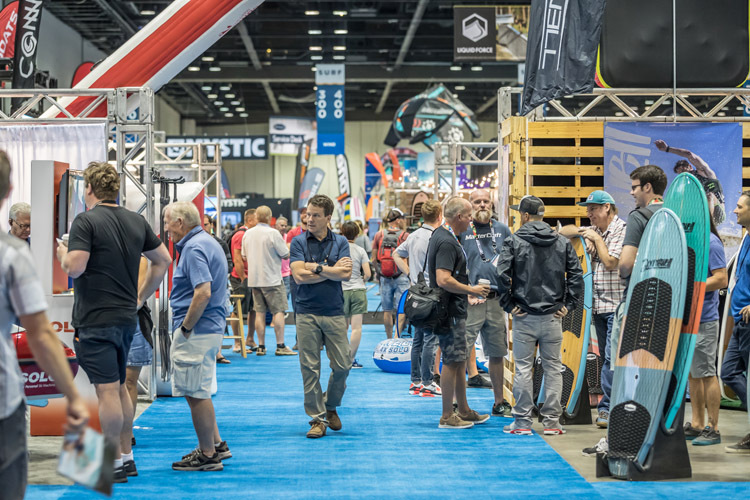 As an internationally acclaimed surf industry trade show, this show will continue to evolve and attract new manufacturers, as the boardsports’ spectrum broadens. If you’re a surf shop owner, this is the place to find top-notch gear and apparel; if you’re an industry manufacturer, Surf Expo will definitely help you increase your orders and build long-term relationships with a large number of loyal clients.